We had hoped that Mr Allison's experiences on UKIP's undemocratic NEC had knocked some sense into him. LINK. We were wrong! Mr Allison has been busy trying to persuade concerned UKIPPERS that the recent 92% Yes vote to change UKIP's constitution was untainted by the stench of corruption and vote rigging. He was most upset that we chose to repeat allegations - made by many UKIPPERS - that the vote had been rigged. LINK. We had no idea that Mr Allison believed in suppressing freedom of speech within UKIP. So they have no right to express their concerns? He gets more like Nigel with every passing day! Mr Allison honestly expects UKIPPERS to believe that 92% of party members voted to give Farage dictatorial powers. The last leader to get 92% voter approval was Hitler! Mr Allison is clearly more stupid than he looks! Mr Allison posted several comments on Dr Edmond's blog regarding the vote. It is interesting to note that he admits that UKIP's leadership refused to allow 6 independent members of the party to observe the count. This should have sent out warning signals to even the most stupid. A party that had nothing to hide would have been more than happy to let members attend the vote. Steve when I got a quote from the ERS to handle MEP list voting it was virtually the same price as UKIP doing it themselves. What were your organisations costs compared to the ERS? Did you get a quote from ERS? Mr Allison declined to answer these questions by claiming it was "pretty academic". We'll take that as a no then! And let us not forget that Jonathan 'frightened rabbit' Arnott was the returning officer for the election. 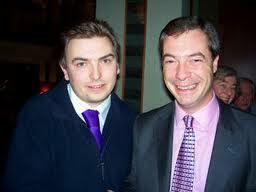 Arnott is so far up Nigel's arse that he has forgotten what the Sun looks like. You couldn't have picked a more untrustworthy person to oversee the election but try telling Allison that! That Steve Allison could so easily been hoodwinked by Farage tells us all we need to know about this failed wannabe MEP and his naivety. sadly UKIP has a clear and undeniable track record of fiddling internal elections and thus regardless of Steve Allison's offensive rejoinder. May I suggest people study the abuse of the internet by extremist UKIP staff such as the odious and utterly dishonest Mark Croucher also the official censures of UKIP by The Data Protection Commission. I appreciate there are those who were and are on the payrpll and seeking preferment on the gravy train who have and do lie about UKIP for personal gain. One need only consider Nigel's right hand Ms. Annabelle Fuller the foul mouthed liar who helped rig one of UKIP's elections. Steve Allison must be describing the deficiency of Farage's testese or perhaps his own - Clearly his statement is wrong, untrue, unsound and dishonest! 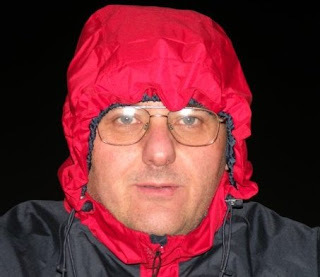 One need only consider the liar and cheat Mick McGough and his criminal offensive spamming and serial dishonesty and corruption to PROVE Steve Allison's claims to be false. Pwehaps someone can cite an example, outside of dictatorships & the third world where a 92% vote - the only mittigation being that the ONLY publicity on the imposition of the new dictatorial and centra;ised Constitution was staggeringly dishonest - little wonder that UKIP completely reversed its vote when last this undemocratic concept was put forward. Clearly 92% return from the claimed membership list is in itself far from plausible let alone that they ALL voted in favour of an EU style centralised dictatorship - Even going so far as to use The EU's corrupt methods of if you don't get the result you want represent the question and bully the victims to vote agai. May I suggest a perusal of Nigel Farage's various speeches in Ireland condemning the very methods he has chose to use for his own personal gain. Sadly Steve Allison seems to be easily duped! I wonder if you'll post this comment since GL-W is failing to post my comments on his pathetic little blog. As someone who claims to only print true and accurate stories and knows what is going on ibn UKIP he is well behind the times with his story describing me as a UKIP Staffer. I was never a UKIP Staffer, when I was paid by UKIP it was on a self employed contract basis, never staff and I haven't had any paid contract with UKIP for almost two years. So to describe me as a UKIP Staffer is hardly showing a finger on the pulse and knowledge of what is happening in UKIP. Similarly to descrive ne as the UKIP Idiot of the month is a bit much since I'm not even a party member any more and haven't been since last year, which is why having a go at me is "prety accademic" lol If you are going to try and sling mud then please do try to keep up to date. so I was correct in saying you were at one time a UKIP staffer all be it for presumably tax or EU funding reasons as a contracted staffer with an idividual contract - also of course we must remember you were also a member of UKIP NEC. Having published your resignation at the time my blog is of course quite clear and accurate. Further just name calling about my blog does demean you but clearly you need little help. Allison is clearly confused as he tries to muddy the waters by conflating comments made by those posting as Junius, with those made by me - though I doubt I will ever get the apology Steve Allison owes me. May I also point out that to date I have NEVER received any posting from Steve Allison - so little surprise that I have published none! I have ALWAYS published comments, whether I agree with them or not on my blogs - when they are made by identified individuals and are not just childish abuse, obscenity or foul language. To imply otherwise is clearly dishonest. I also provide my contact details on my blogs, being a single individual poster I ALWAYS identify myself using my own name in full where possible or a name clearly identified to me. That Steve is a liar is a proven fact. He claimed that Junius had refused to publish his comments. There is a simple reason for this -he never sent us any before yesterday! And we - like GLW - are well aware that he 'left' UKIP. We published the details ages ago! We would advise him to crawl back to his new 'party' where he continue to make a fool of himself in private.